To make your fat burning training the most effective, you need to build a training plan in the following way, meaning, doing the exercises in the right sequence a certain number of times. This training can appeal to those, who do not like to spend much time on workout. However, you still need to have a clear plan: 8 effective exercises for certain muscle groups, 50 repetitions of each exercise. The first exercise is global. It is called global because it involves a large number of muscles. It perfectly prepares the body for the upcoming load. 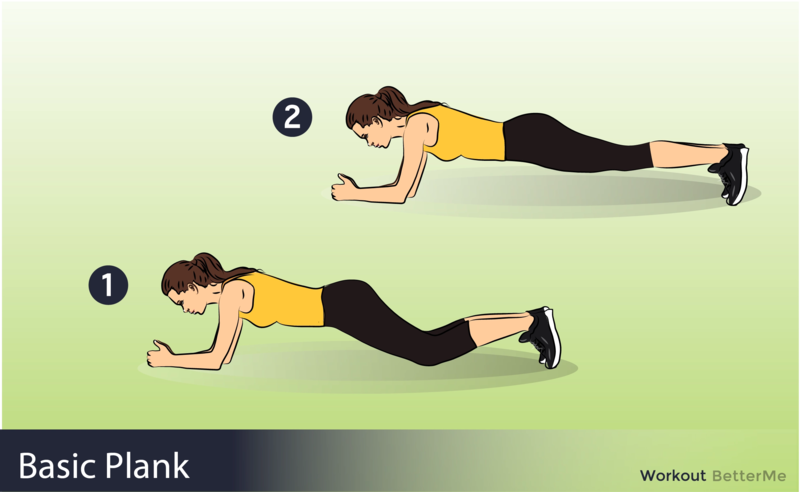 We suggest you use plank. Even though it is static exercise, it involves as many muscles,a s possible. After we train the muscles of the press, then the legs and buttocks and, finally, the upper body. Then we perform new exercises for the same muscle groups. So, let's get started! Slender, tight legs with such a simple workout is a dream coming true! 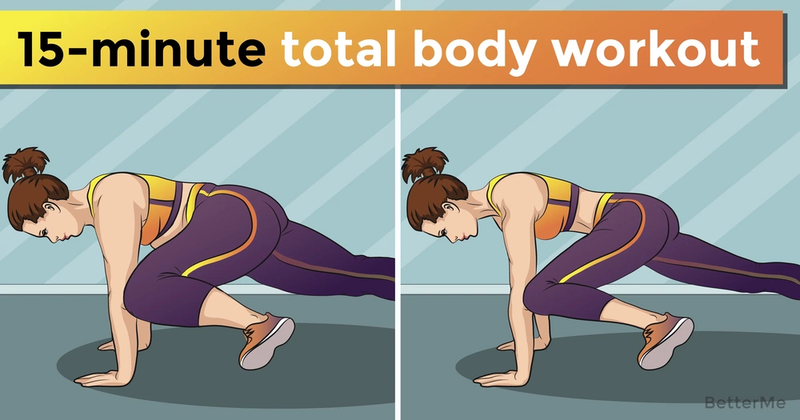 Doing these exercises every day, you can improve the figure in just a month. Features of this training is that it gives a uniform load on all problem areas: hips, abdomen, hands, calves of legs. Motivated by an excellent result you will easy get down to classes as soon as you finish reading the article! Your forms will become even more seductive, the waist are about to become thinner, and the hips are already turning elastic. Fitness trainers recommend to do sports in the morning regularly in half an hour after waking up and on an empty stomach. To obtain a noticeable result, one should not concentrate on one problem zone, but approach the issue in a comprehensive manner. The goal of an "ideal body" is achievable with a systematic repetition of 10 exercises per muscle group.